Having years of experience in helping businesses small and large to promote their business everyday, one thing we’ve come to realise is that majority of people seem to be afraid of using YouTube to promote their business. There is no reason to be afraid of getting in front of the camera to talk about your passion and here’s why: very little of the most popular video content on YouTube aren’t professional productions. Some of the most popular YouTubers that viewers love are just regular people getting in front of the camera and talking about what they know best. Take for example James Charles, when he first started out posting videos on YouTube, he was just creating ‘how to’ videos regarding his makeup routine and chatting about his favourite makeup products. Now he has his own products and is paid to create videos. The best thing about YouTube? There’s no expensive equipment required. 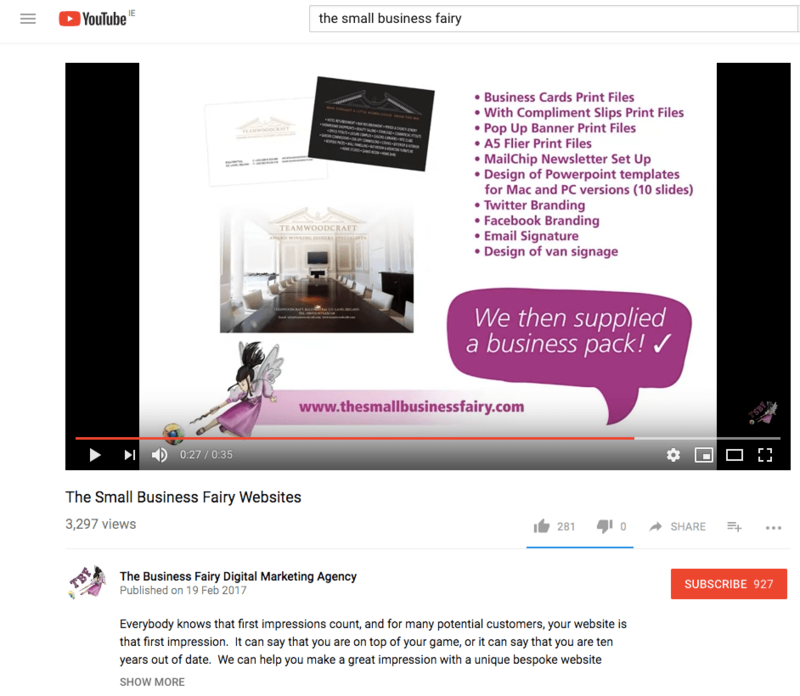 Below, we’ve put together The Business Fairy’s top tips for promoting your business on YouTube. When starting out on YouTube don’t reinvent the wheel. The videos that are popular on YouTube generally tend to be funny, unusual, or useful. We’re giving you permission to get the popcorn out ad spend an afternoon watching YouTube videos to learn what works and what’s popular in your area of expertise, Find out what videos in your market have the most views, high ratings, most comments or most subscribers. What are they doing right? Can you replicate it with your own twist? Although you may have an amazing quirky pun or unique phrase for your title, if you don’t have key words in the title of your video nobody is going to find it. Our advice would be to keep titles full of keywords and to the point (at least in the beginning while building your views and follower count). If you have a title that is brief and clear to the point and full of key words, it will be more easy to discover. But the title isn’t the only place on your content that you should have key words. The best way to help people find your videos is by including your keywords in the title, description, and tags. We’ve taken an example from one of our own YouTube videos to demonstrate this. Here we’ve been making content describing a website we had recently designed for a client. Our key word here was ‘website’ as that is both the topic of the video and what we as a business provide to our clients. We also included our business name so that anyone searching for us would see the video us and what we do. As you can see we’ve also included keywords in our description including: website, first impression, business, unique and bespoke website. This is what is going to help people to find us when they search for ‘website’ or any of the other secondary keywords we’ve included. At The Business Fairy, we value creativity and would never tell you to take anyone else’s content. However, tags and keywords are slightly different. Search for the most popular videos in your market and then copy the tags they have listed. If you find an account or video that has similar topics to you and is popular, take advantage of it! Examine it clearly and decide which keywords they have used in their titles, descriptions and tags would suit you too (just make sure that they are relevant to your videos of course) and include them in yours. This will increase the likelihood your video will be listed under “suggestions” when someone views that video. People search using keywords, but after that it’s mostly a visual process in selecting which video they are going to watch. It’s vital that you have a great thumbnail image so that it catches the viewer’s attention and gets that all-important click. Even if you have a great video and tags, no one is going to watch it the thumbnail isn’t relevant to what they’re doing or as eye catching as the ones above and below it. To edit your thumbnail you will first need to be logged into your YouTube account. Then go to ‘My Account’ > My Videos > Edit. Then select the thumbnail that you think will represent your video best but also look great and catch the attention of the viewer. Add the “http://” version of your URL to the beginning of your video description so people can click on your link and visit your site. This is an important step because it means that if someone is interested in buying something or looking for more information, they have a quick way of doing it, and won’t give up if they have to search for your website. Look for videos related to yours and like and comment. Ask questions and interact (but remember do not spam because it’s a big no-no) if you get into a conversation in the comments section of a video, it is then ok to suggest that they have a look at your own. This will allow you to piggyback a lot of the traffic that these videos get. However you must remember not to participate in any spam like behaviour by posting links to your own channel out of the blue- other YouTubers will find it rude and purposefully not click on the link. 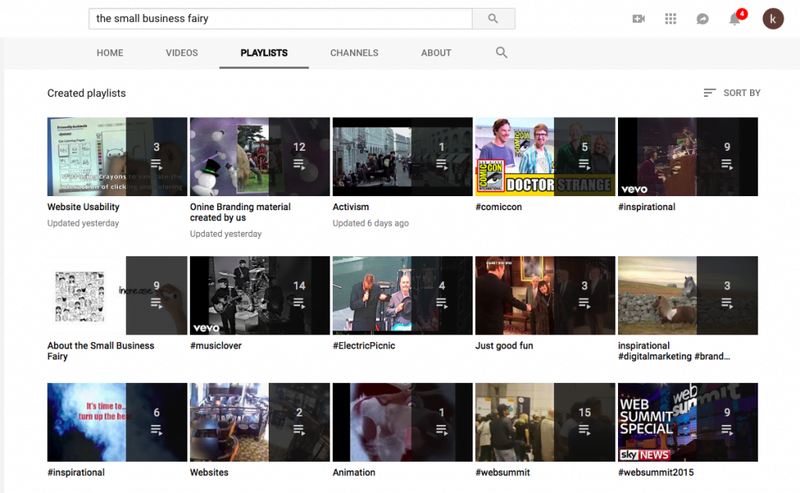 Playlists are a great way to get your videos watched by a lot of people. Embed your videos in your blog. Email your YouTube link to your friends and contacts at the bottom of your emails. Post your video to LinkedIn, Facebook, Twitter and your other social networks. Ask people to share– When posting on social networks including “Please Retweet” or “Share this with your friends” really helps. YouTube isn’t just a video sharing site; it’s a social network. You can add friends, message them, join groups, create your own group and use the bulletin board to interact with the YouTube community. It takes work but if you follow these tips you’ll be sure to build up a following which will promote your business and generate sales in no time. 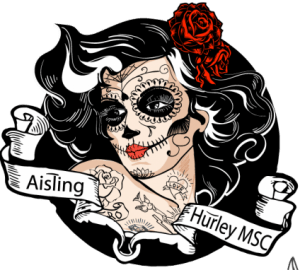 If you are considering starting up on YouTube and don’t know where to begin, or if you have a Youtube channel and are looking to work out a better strategy for your videos, or want to have your videos professionally edited, email us at info@thebusinessfairy.ie for more information.